Join our mailing list to get exclusive access to the picks emailed directly to your inbox. My name is Rob Friday, I started this site to share my love for sports and the enjoyment of keeping score. I invite anyone to share your picks with me and submit comments to the blog. I am from Downtown Toronto Ontario. My favorite Sport to watch is by far College football. I spend most Saturdays glued to my couch during the season. My site is currently dedicated to providing free and sports predictions, my specialty is College football predictions and I also provide NFL predictions on most games. From time to time I will offer some sports picks on other sports such as golf or the Olympics. 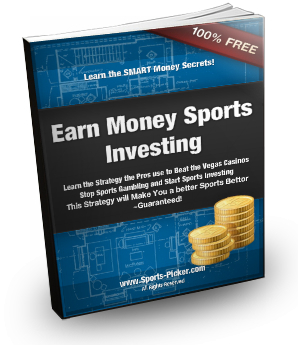 For Tips and Strategies to win at sports picking with expert sports predictions be sure to join my mailing list to the right. You can sign up for free and get exclusive access to my 4 unit NCAA College Football Predictions, NFL Monday Night predictions, NFL Thursday Night predictions, and first access to all of my other sports predictions. The picks and statistics available on this site are purely for entertainment purposes and I do not suggest or encourage gambling. If you think you have a gambling problem please CLICK HERE for help. I release my picks most days. The "Units" are a % of your overall imaginary bankroll. The idea for entertainment value is that you start your season with a value of 100 units which is equal to 100% of your sports bankroll. Each week you reset your bankroll based on the previous weeks additions or subtractions. We still keep track of overall wins and losses at a +/- count on units. This levels the playing field when you are comparing your record to others. BEWARE of others who do not take into account the house spreads when calculating wins and losses. If someone is consistently picking winners but the winners are all massive favorites at -250 or something, this may still net out to an overall loss when compared to the win/loss of units. I use American odds to post my picks. See the following examples to understand things further. Money Line Betting – For each game listed both teams will have odds listed beside their names with the favorite to win having the lesser payout. For example if we are betting on the NHL and the Toronto Maple Leafs are the home team vs the Montreal Canadiens the odds may look something like this. The number in the bracket represents the house determined odds for each team winning the game. You can easily find listed odds at a site like bodog.net. This style of odds is known as American odds. if a team has a + sign beside it like the above example this means that a wager of 1 unit (for this example we will use $100) will pay $115. The wager x The odds = the payout. If there is a negative (-) sign beside the listed team this means that the payout will be less than one whole unit, usually because the team is favored to win. In the above example using the $100 wager your payout would be $95.24. The calculation is as follows. This is why when some sports gurus boast a winning record of 35-10-4 they may still be losing money in the aggregate. if the over under is a whole number for example 6. There is a chance that the game can end on exactly 6 and the wager will "push" and be returned, also known as "no action". 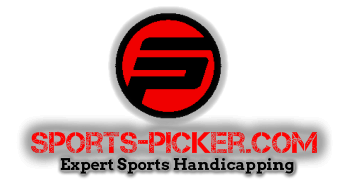 Subscribe to the Sports-Picker VIP Players Club. Get all the Picks sent directly to your email.